Royce Melborn and Hadrian Blackwater, skilled thief and mercenary, make their living by hiring out their considerable talents to those who can afford it. When the king of Melengar is murdered, theyâ€™re framed as his killers. Managing to escape from their prison, they have to rescue the crown prince and find the real killers to clear their names before they hang for the crime, but (wouldnâ€™t you know it) thereâ€™s a sinister conspiracy headed by some very powerful individuals who donâ€™t want them to succeed. Theft of Swords (the first book of the Riyria Revelations trilogy) is really two novellas put together – The Crown Conspiracy and Avempartha, – featuring the two main characters. This is a novel set firmly in the high fantasy category; in the interview in the extras section, the author states he deliberately wanted to use all the traditional fantasy tropes, so we have elves, morally ambiguous sorcerers, royalty and dwarves. If you find these sorts of things clichÃ©d and irritating then donâ€™t read this book – it will annoy you. 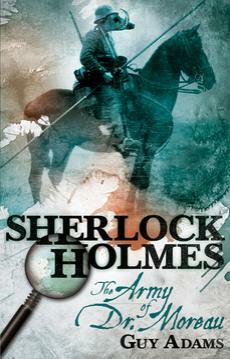 If on the other hand you enjoy traditional fantasy it has a good deal to recommend it; the two main characters are well-drawn and realistic individuals and the stories are well-written with enough action and intrigue to hold the readerâ€™s attention with the occasional flashes of humour. That said, I must admit my interest started to wane during the second story. Mainly because even though the stories themselves have a few twists and turns, what I could see of the way the main story arc is developing looks so clichÃ©d and obvious that my heart sunk. The other problems are a couple of glaring examples of modern speech that jarred me unpleasantly a couple of times (I have no problem with characters saying â€˜yeahâ€™ or even â€˜okayâ€™, but when they say â€˜no worriesâ€™…), and the fact that, for me, the author simply wasnâ€™t as funny as he thinks he is. However these are personal points and you may not have any problem with them. 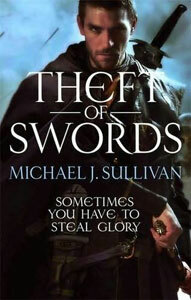 If you like traditional fantasy and can cope with the use of modern speech then youâ€™d be well advised to check Theft of Swords out.